Simple and comfortable living is what offered at Apartment Begumpet. The rooms are spacious. Bright colours on the walls add a glow to the overall decor of the room. 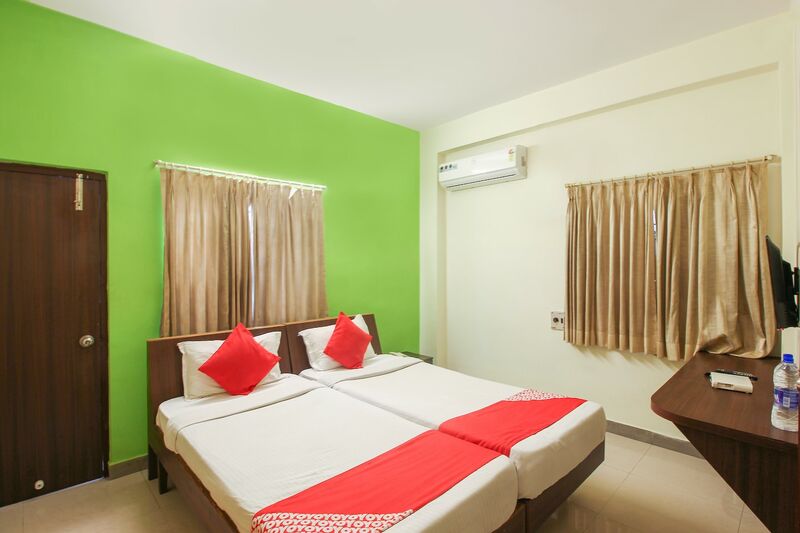 Provision of basic amenities and comfortable wooden furniture make for a relaxing stay. There are a seating and dining area where guests can relax and enjoy their meals. CCTV cameras are installed here for the security of your stay. You can stay connected with your social media accounts as free Wi-Fi is also offered here. Elevator, power backup and parking facility are some other amenities for the convenience of the visitors.